Often the largest asset in an estate is real property. Transferring these assets to a living trust is done by executing a deed naming the trust as owner. The type of deed can be either warranty or quitclaim. 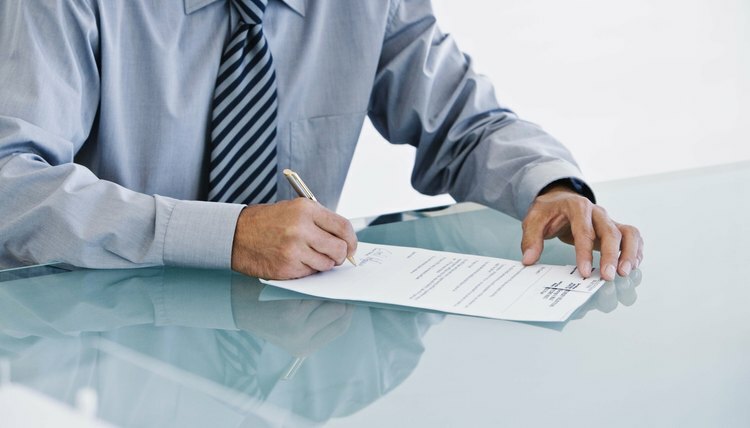 A warranty deed means that the owner represents to own the property in full and insures against any disputes to title after transfer. A quitclaim deed merely transfers any ownership interest the holder has, without these assurances. While quitclaim deeds can be easier and quicker to execute, in most cases transferring a warranty deed is more appropriate to ensure that ownership is not called into question at a later date. All real estate transfers require the observance of state laws, which can vary. For example, a handful of states, including Pennsylvania, require the trust instrument to be recorded in the land record along with the deed. Conveying personal property into a living trust can be done at any time after the trust is established. Personal property includes tangible household goods, such as jewelry and home furnishings. Although some states treat automobiles and airplanes as personal property, most states have specific titling transfer rules that must be observed. However, all other personal property may be placed into the trust by signing an "assignment of personal property" document. While you could itemize all of the assets to be transferred, these documents are typically written to simply cover all personal property that you currently own and will acquire in the future. Automobiles may also be transferred into your living trust. If you regularly use your car, the retitling process and updating insurance coverage can be complicated. However, it is common for more stationary vehicles such as RV's or antique cars to be used to fund a trust. The process is governed by state law and can vary according to the rules of the department of motor vehicles. In Maryland, for example, you must retitle the vehicle in the trust's name, submit proof of ownership, supply the trust instrument, and complete several state-specific forms. In Florida, on the other hand, no transfer of title is required. Instead, automobiles may be transferred through an assignment of personal property document. The transfer of business interests to a trust is similar to transferring tangible personal property, and is accomplished by executing an "assignment of business interest" document. This will effectively make the trust an owner in your partnership or sole proprietorship, including conveying ownership interests in the assets owned by the business. Intellectual property, such as patents, copyrights and trademarks, can often hold significant value and may also be transferred into a living trust. The process for shifting ownership of these interests is more complex and generally requires a specific document signed in front of a notary. For that reason, it is a good idea to seek professional advice before making the transfer. As part of the estate planning process, an individual may choose to establish a trust to hold his wealth and property for the benefit of his spouse or other survivors. A trust agreement establishes the terms of a trust and becomes effective during the life of the settlor, or maker of the trust. A last will and testament, on the other hand, can be used to form a testamentary trust that becomes effective upon the settlor's death. Both documents name one or more trustees to hold and manage trust property. However, the method by which property transfers from the settlor to his trust has been cause of much consternation for some when they attempt to acquire title insurance on trust property.